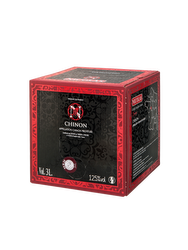 Floral fragrances such as black fruits, cherry and finally liquorice are released from this garnet-colored wine. In mouth, it is well-balanced. It is fruity and round. A spicy touch awakes the whole. Tannins are supple and melted. 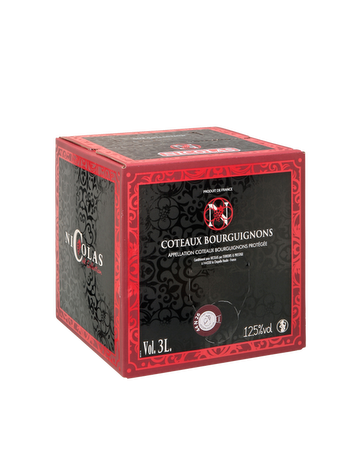 The designation « Coteaux Bourguignons » extends from the Auxerrois to the Beaujolais. 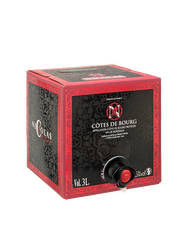 It is composed of the principal and emblematic grape varieties of Bourgogne (Pinot Noir, Gamay, Chardonnay, Aligoté). 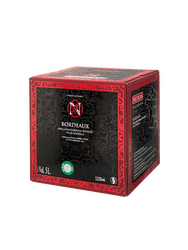 The designation Coteaux Bourguignon is only qualifying red and white wines produced inside the designated area. Terroir: This designation has been created in 2011 and refers to 4 departments: Yonne – Côte d’Or – Saône and Loire – Rhône. An infinite range of terroirs exists from the chalky foundations of the neighborhood of Joigny, at north, to the granites of the South of Bourgogne, by way of limestone and marls also frequently designated. Viticulture: Red and rosés wines are provided by the Pinot Noir, the Gamay Noir with white juice. The white wines are composed of Chardonnay, Aligoté, Melon of Bourgogne, Pinot Blanc and Pinot Gris.